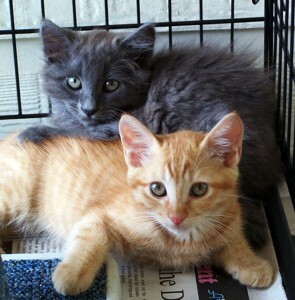 We receive more calls about kittens than any other group in town, yet our Foster Program is one of the smallest. Fostering is saving lives and is one of the most rewarding things you can do. Call us today to find out about fostering. We provide food, toys, and medical care. You provide love! Rescued from the streets of San Antonio, these loving and playful cats welcome visitors while they wait for their forever home.